The rallying cry at J Dub is, “Play hard, eat well, and drink local.” If that’s something you can get behind, J Dub is probably your kind of place. 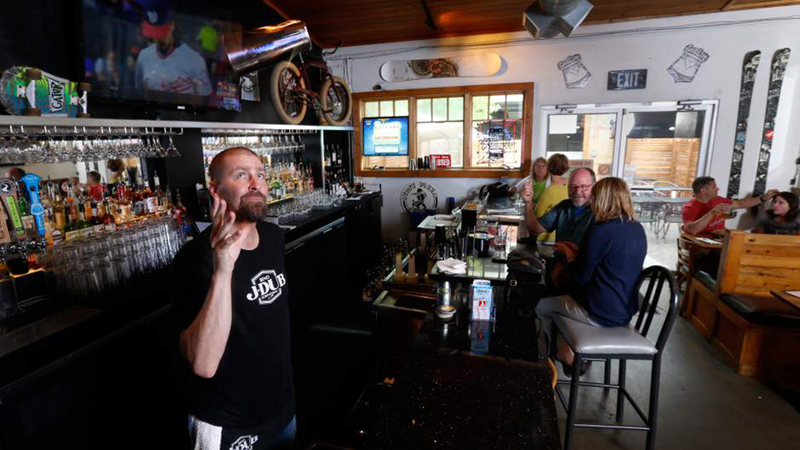 Opened in 2016, J Dub brings to downtown Bend what owner Jon Weber felt the town was missing; a super casual place to kick back after a day on the mountain and enjoy great food, friends, and drinks. On the weekends, brunch is served starting at 9:00 a.m. (for you early risers) and includes breakfast tacos, pancakes, lots of egg dishes, and a donut burger. Yep. The rest of the week, J Dub starts serving lunch at 11:00 a.m. and cruises right on through the dinner hour and beyond with sweet potato tots, bacon and pesto mac and cheese, great burgers, a crab roll, and creatively satisfying salads. J Dub’s chill atmosphere is perfect for families and the kids’ menu will make any parent smile with entrees like “I Don’t Want That” (grilled cheese) and “I’m Not Hungry” (mac and cheese). In addition to craft brews on tap and lots of west coast wines, J Dub has a secret weapon up its sleeve; an award-winning cocktail ninja ready to help you really relax with a tasty adult beverage. No matter what time you come in, you’ll be greeted with a smile, probably a story or two, and great time.